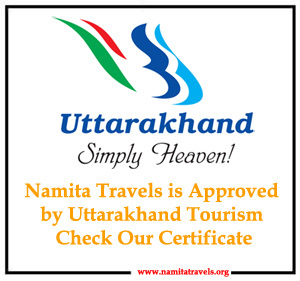 Namita Travels is offering services for Chardham Tour Package by Helicopter - Char dham Yatra is a holy yatra or pilgrimages that every Hindu Devotee wishes to do at least once in there lifetime. Considered to be one of the most revered religious treks of Hinduism, Chardham Tour package by helicopter includes treks to four religious sites - Yamunotri, Gangotri, Kedarnath and Badrinath. It is a yatra of Pilgrimage offers you a chance to see the glory of God in the lap of nature enjoy some refreshing moments, and get inner peace. Journey of Chardham Tour package by helicopter 2019 is very backbreaking and lengthy by road. However, operation of Helicopter services for Chardham Packages 2019 makes the whole journey of Chardham easier and short. 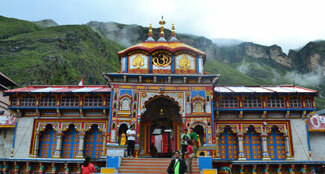 Chardham Tour Package starts for all four dham. 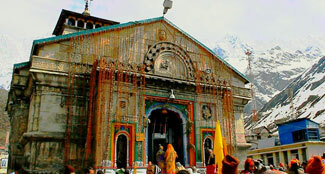 So, your holy Yatra Start with Yamunotri tour package , proceeds to Gangotri Tour Package and then to Kedarnath Tour Package and last to Badrinath Tour Package and then Return to Dehradun. This yatra not only allows you to have darshan at the four holy sites, but also offers sometime to see the Peace of the snow-capped Himalayas. 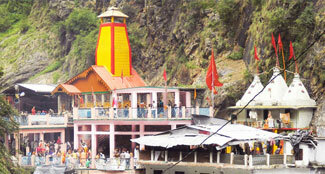 We have design different packages for Char Dham Yatra by Helicopter which has something for all devotees of God. Covering almost everything related to your travel, we ensure to provide you with a spiritual travel without any distractions and travel distress. Each of our packages has the best rates and offers variety of options to make your tour to chardham yatra by helicopter from haridwar hassle-free. While travelling, go with pleasure as our tour packages are tailored as per your requirements. Our Char Dham Tour Package by helicopter offers a gratified stay at the hotels, by providing a judicious blend of services within the preferred budget. We provide the most affordable accommodation clubbed with all required needs. We strive towards making your holy yatra, an enriching and pleasing one. we at Namita Travels ensure the comfort of pilgrim to have a wonderful experience at this holy place, with a pleasant stay, divine darshan and a relaxed sightseeing. Take off from Sahastradhara Helipad Dehradun. The temple is at a walking distance from the helipad. We wii provide VIP darshan slips to the passengers. These slips are provided by the temple committee and the cost of each slip is Rs 1100. Night halt will be organised at good hotel. Take off from Kedarnath temple Helipad.. 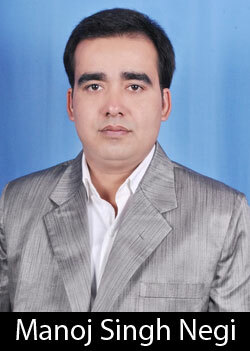 Passengers will be staying at best Hotel in the property of Badrinath. We shall provide transport for temple visit and local sight seeing upto Mana Village. We will also provide special Abhishek Arti tickets for the early morning Puja. Take off from Badrinath temple Helipad. Arrival at Harsil helipad Gangotri. 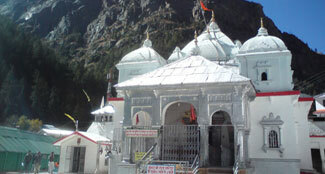 We will organize transport from Harsil to Gangotri Temple. you can enjoy the beautiful surroundings of Harsil including the pure and quiet Ganges river which passes from near the helipad. Take off from Harsil helipad for Yamunotri.. Arrival Kharsali Helipad for Yamunotri. Visit to Temple by Palki. A best in class accomodation will be been arranged. For early booking of Chardham yatra by helicopter 2019 please drop a mail or call us. Need Call Back From Us ?